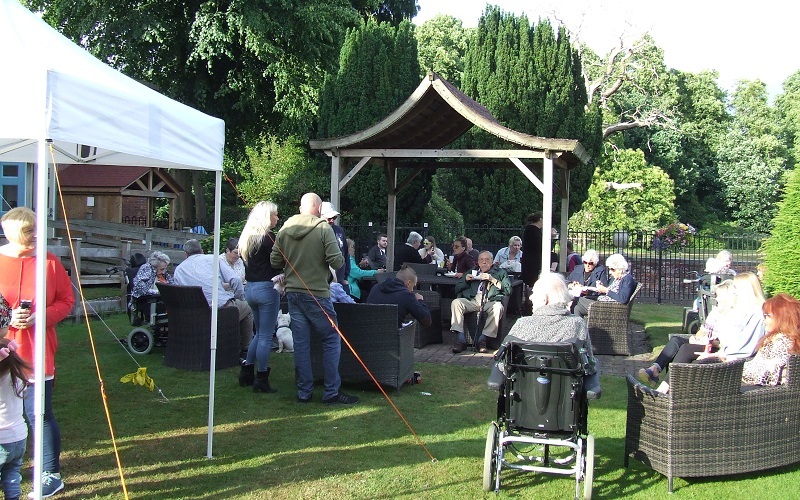 In addition to raising money for charity the aim was to hold a social event that residents, family members and staff could all join in together. Typically the day saw the first rainfall for days but despite the weather the event was a great success. After a very tasty BBQ there were a number of giant garden games and a prize raffle. 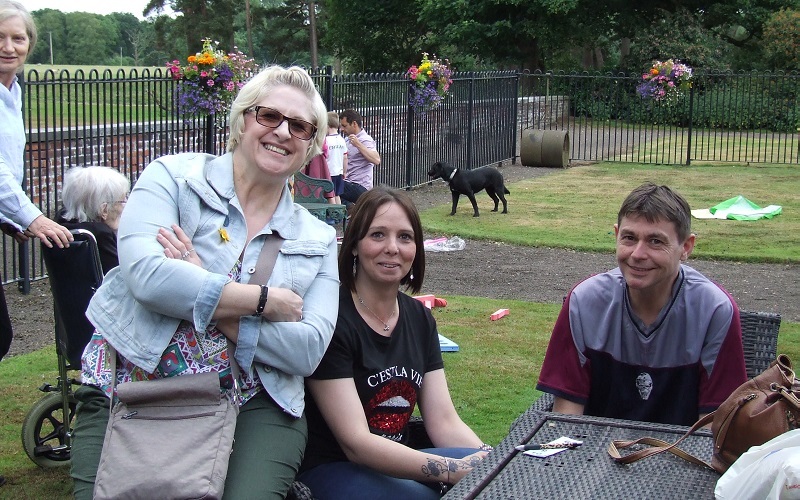 The event was organised by Tabley’s Mike Hubbard and Mike would like to thank everybody who helped to organise, donate prizes and attended the event. 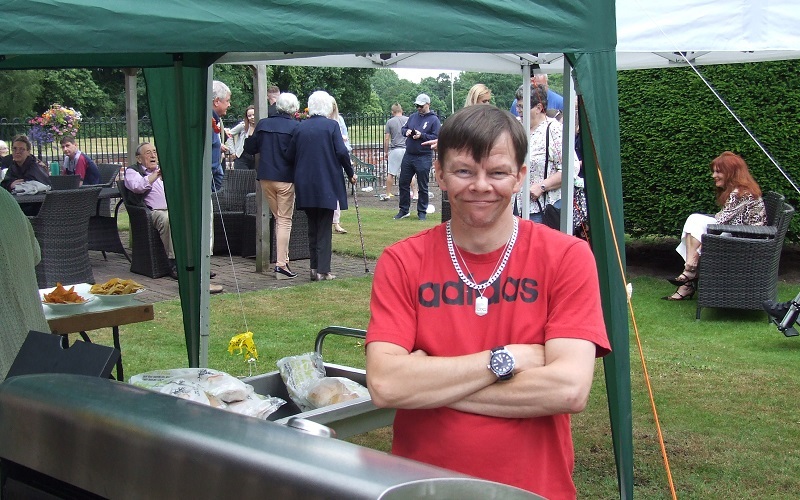 In particular thanks to Tabley’s chef, Jonathan, for the BBQ, by the end of which there was not a burger or sausage left! The total amount raised for Macmillan from the event was £235. Well done and thank you to everyone who took part in the event.